Asking a client to leave a review, or “like” or “follow” you on social media is not enough. Give out links where people can easily leave a testimony. Email Signatures are a great way to advertise these links because a lot of communication is through email. Send an email thanking them and tell them how easy and appreciative you would be if they clicked the links below the email. 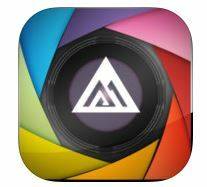 Color Capture- Capture colors anywhere with this app. Take a picture of any color inspiration and get its matches instantly from Benjamin Moore’s colors! You can also create custom color combinations and tag them to your inspiration. E-mail or share colors easily with others and locate the closest Benjamin Moore retailer.